Every basketball team is only as good as their captain, as a person who can focus the team, lead by example and bond with fellow teammates is helpful to have on any basketball team, especially the Grand Valley State men’s basketball team. On Monday, Feb. 11, over 75 Grand Valley State University students, faculty and staff filed into the Padnos Hall of Science for the chili experience of a lifetime. For 15 years, the GVSU Geology Department has held a chili cook-off that brings students and professors together for a relaxed night of food and fun. At a university of almost 25,000, it's alarming to know that GVSU's vaccination rates fall below the national average, leaving many at risk to the spread of some previously irradiated infections. While the university does not require vaccinations, just as Michigan's 12 other universities do not, they do recommend them. In fact, GVSU openly encourages the following vaccines: influenza, MMR, meningitis, meningitis B, tetanus, diphtheria and pertussis, varicella, hepatitis A, hepatitis B, HPV, pneumococcal and polio. Grand Valley State University is declared a top performing Michigan university in the last seven years. That is according to the State of Michigan’s performance funding model. The 28 seniors of the men’s and women’s track and field teams competed for the last time inside the Kelly Family Sports Center on Friday, Feb. 16 in the GVSU Tune-Up Meet. Student Senate President Rachel Jenkin stands among state legislators, the only student to testify in front of them that day. The Michigan House of Representatives’ University and College Appropriations Subcommittee sits there expecting another speech about the successes of their funded state universities. Instead, she catches them off guard. The Grand Valley State women’s soccer team impressed the world of Division II soccer this past year, going the entire season with zero losses and only one tie. The Lakers earned their spot in the national championship game in December, where they lost their first and only match but still emerged from a successful season. Grand Valley State University’s Kirkhof College of Nursing (KCON) was recently granted $600,000 to help assist students with the cost of the program. In an effort to increase the utilization of Grand Valley State University’s “Laker Guardian” app, Grand Valley Police Department is running a logo design contest open to all current GVSU students. On Friday, Feb. 15, Grand Valley State University’s Opera Theatre presented “Wonderful Town,” a production originally created by composer Leonard Bernstein and lyricists Betty Comden and Adolph Green. GVSU's run of the productions began the weekend of Feb. 8 and wrapped the following weekend on Feb. 17. “The fizzy, festive, cocktail is about the lighthearted, sweet and funny quality of the music and the jokes,” Schriemer said. The swinging show tunes of the musical depict the effervescent charm of New York City, wrapped up in the story of two sisters chasing their dreams. “Watching student performers learn how to land jokes, sing great songs, do jazzy little dance numbers and creating friendships among the cast is the most exciting thing about this whole process,” Schriemer said. Schriemer explained that a production of this caliber required a lot of hands on help — which meant recruiting very large cast and crew. After a rather rough week, the Grand Valley State men’s basketball team got things back on track this week in their final road trip of the season, beating Saginaw Valley State 81-64 on Thursday, Feb. 14 before defeating Northwood two days later with 67-63. If Cassidy Boensch was not already on the radar for Division II Player of the Year for whatever reason, she surely is now. In response to increased ethylene oxide emissions from Viant Medical Inc. near Grand Valley State University’s Pew Campus, university officials hired a private company to complete air quality testing inside four Pew Campus buildings: the Seidman College of Business, the Bicycle Factory, DeVos Center and Winter Hall. With an anti-vaccination movement on the rise, the possession of accurate information on vaccines is becoming increasingly in demand across college campuses. For many students living on campus, meal plans represent their access to breakfast, lunch and dinner. 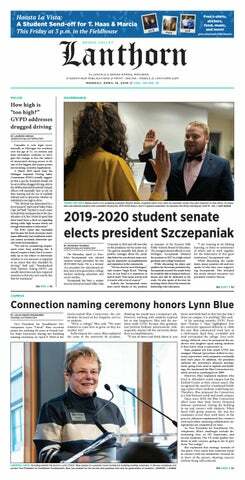 While there is a variety of different plans, members of Grand Valley State University’s student senate views the costs of these plans as a barrier for some students and seek to address the issue, entertaining the idea of an income-based meal plan for future semesters. In the Fall 2017 semester, 81.9 percent of undergraduate students at Grand Valley State University were white, and minority students make up an even lesser percentage of GVSU’s Frederik Meijer Honors College.